With a 25-year Manufacturer ‘s Warranty on Materials & a 10-year Workmanship Warranty! 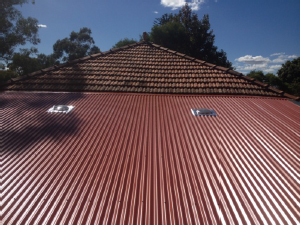 Colorbond Roofs have been tested in some of Australia’s harshest climactic conditions for the last 40 years. Designed to both last and look good! 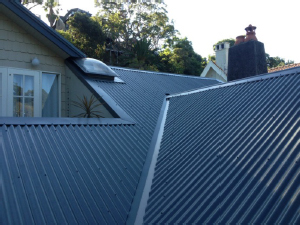 At All Roofing Services we take pride in ensuring that you have the best possible roof for your home and that the finished product looks good, adds value to your home and most importantly is watertight for years to come. Colorbond is made by taking Zincalume ( a Zinc and Aluminium alloy coating ) that delivers outstanding anti-corrosion performance and is lightweight, yet extremely strong. A conversion layer is applied to the surface to improved adhesion and then a polyester primer is baked on, followed by a top coat of specially developed, exterior grade paint which is again baked on. All ensuring maximum resistence to chipping, peeling or cracking. 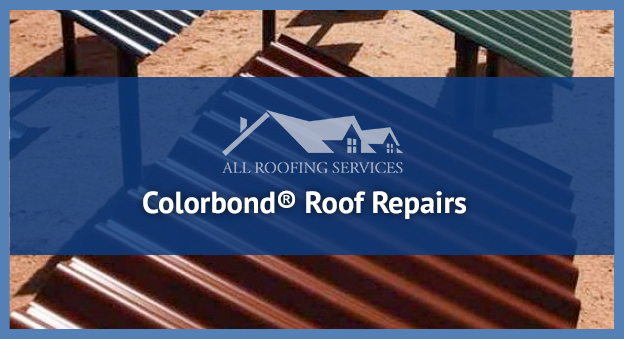 Colorbond Roofing is manufactured in Australia, so not only do you protect your home , you are supporting the Australian economy. There are 22 colours available ( click here to see some ) . We prepare your roof by stripping off the old roofing material and then fitting new Timber Battens to ensure a straight finish. 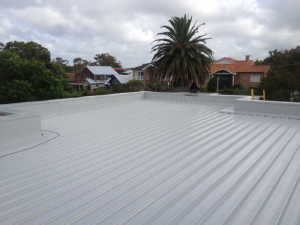 A Heavy-duty Anti-condensation Blanket is then laid and the Colorbond roof sheeting goes over the top. The entire roof is then made watertight with custom-made Flashings, Roll Top Ridge Capping and Valley Gutters as needed. We can also install Skylights and Whirlybirds. 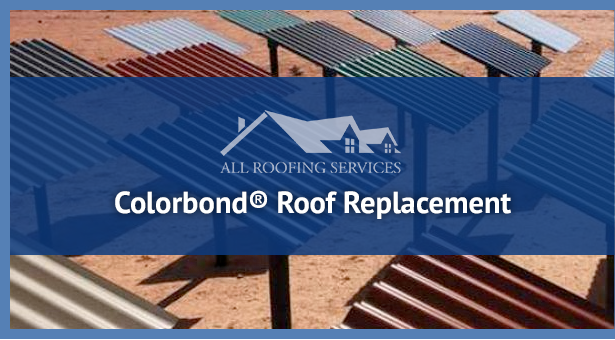 The entire process can take 2 to 5 days depending on the size and complexity of your roof. We will ensure that your roof is left weatherproof each night, as well as making sure the area is clean and any materials are put out of the way, so that there are no unexpected surprises.